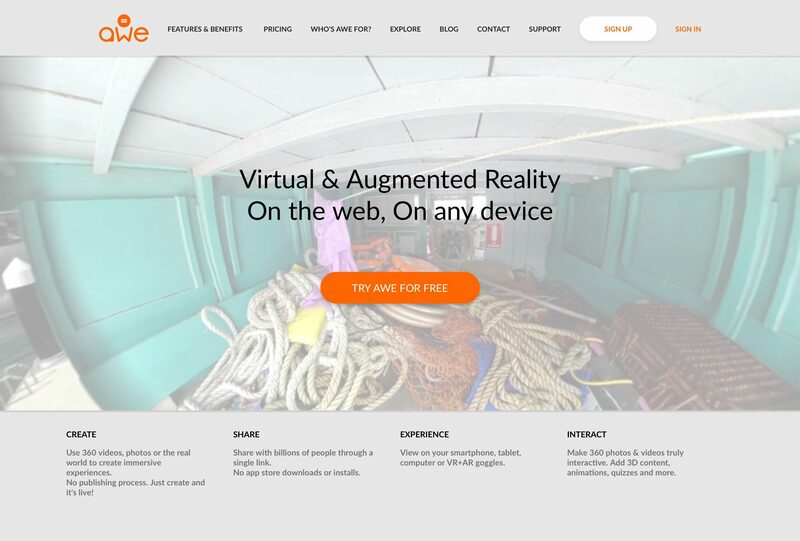 Awe makes 360 photos & videos truly interactive. Create & view VR/AR using your browser, on any device. No coding or app stores required.